Pictures of the first Dino Hybrid figure! Hey folks! What's the best way to start 2016? 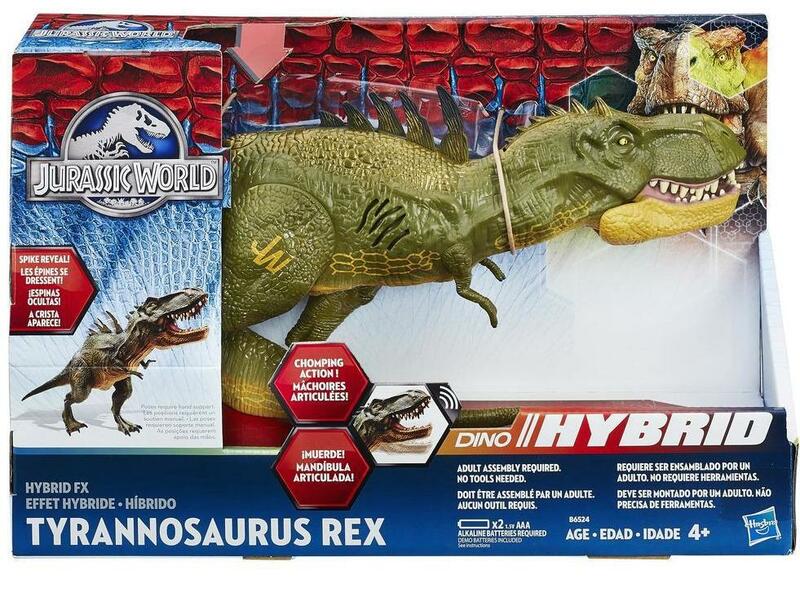 By discovering what the new Jurassic World Hybrid (or Dino Hybrid, according to the packaging) line will look like, of course! 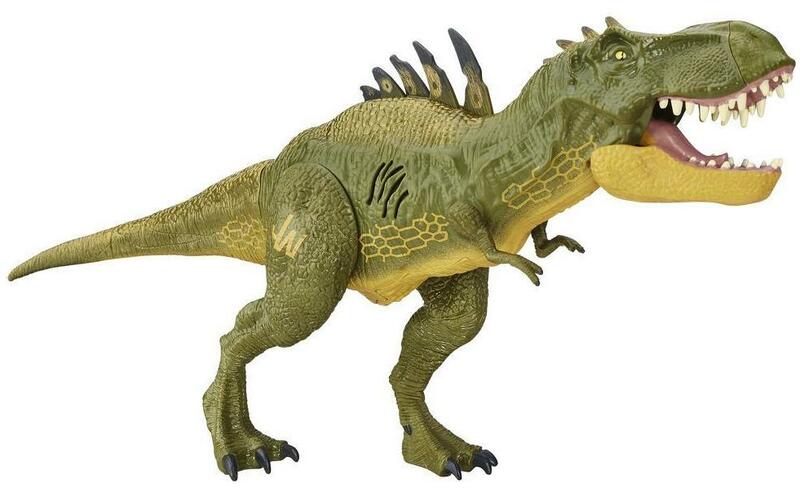 Thanks to ChrisLikesDinos, we have our first look at the Hybrid FX T-Rex, a retool of last year's Chomping Rex, packing a few new tricks: along with the chomping attack, this figure now has roaring sounds, and, as you can see, huge spikes sprouting out of its back, not unlike Chaos Effect's Amargospinus, all for (reportedly) the same price than the original toy. Like it? Hate it? At least, Hasbro didn't stop at a mere repaint and went the extra mile to retool this figure. We'll see what the rest of the line will look like, especially with recently uncovered figures like the Pteraminus, which have been added to the list below. Enjoy!